HOLIDAY APARTMENTS TO RENT IN FRANCE | Search the Rent in France holiday property directory for French holiday apartments to rent throughout the major regions and departments of France. Rent fantastic self catering apartments in all the popular French areas including Aquitaine, Brittany, Limousin, Poitou-Charentes, Provence-Alpes-Cote-d`Azur, Midi-Pyrenees, Normandy, Languedoc-Roussillon, Loire Valley and even the wonderful Corsica. Chose your ideal holiday Apartment for a perfect short-term summer break in France, or choose a longer-term rental during the Low-season months. Choose your perfect holiday rental apartment in France and explore the Famous capital of Paris, the infamous Biarritz, Cannes, Saint Tropez or Nice - the list is endless. Perhaps, you may wish to search for your ideal ski holiday rental apartment in the Rhone-Alpes region. Our owners provide self catering holiday apartments in Les Gets, Morzine, Courchevel, Chamonix and many more superb resorts. Book directly with our owners! SAVOIE HOLIDAY CHALETS VILLAS AND COTTAGES IN FRANCE | Book direct on the Rent in France property directory. Rent self catering Savoie holiday rental homes in Rhone-Alpes and and visit the French Alps. Self Catering Isere Holiday Rental Houses, Apartments and Chalets. Rent the best properties for the ideal accommodation in the Isere department, French Alps | RENT IN FRANCE HOLIDAY HOMES. HOLIDAY CHALETS AND VILLAS HAUTE-SAVOIE FRANCE | Book direct with private owners on Rent in France and find your ideal Haute Savoie holiday rental chalet, villa, house or apartment in Rhone Alpes. Stay in a ski property in Chamonix and the Portes du soleil. This luxury three bedroom apartment provides easy access to the town and slopes suitable for beginners and the more experienced. All amenities within walking distance and the nearest slope is 150m. Apartment Rental in Faverges - 6 to 8 persons. Mountains view and quiet surrounding. 20 minutes from Annecy, 15 minutes from nearest ski resort, 4 minutes from the lake, 1 minute from the biking lane. Action Plein Nature invites you to its traditional wooden mountain chalet in the Northern Alps, in the heart of the Maurienne, Saint Sorlin d`Arves, France. Two charming and welcoming apartments. This wonderfully situated Studio apartment boasts a spacious interior. Le Belevedere Apartment building is set in a quiet location offering seclusion and stunning scenery. Holiday Apartment in Saint Jean d`Aulps, Portes Du Soleil, France. The apartment is very well located and close to all the necessary amenities for an enjoyable holiday experience. Sauna, SAT TV. Studio apartment ideal for 4 people, set on the 5th floor with south facing terrace. Located in the centre of Arc 1600 resort and at the foot of the slopes and lifts. Albiez Montrond Holiday Ski Apartment Rental in Savoie, French Alps ~ Le Mollard. Second floor apartment sleepsing 6 people with ski locker. Located directly on the ski slopes. Mont Blanc holiday apartment with terrace and views of Lake Annecy and the mountains beyond. It comprises 2 bedrooms, 2 bathrooms and sleeps 4 people. Located in a residential area close to shops. Cour Renaissance is a stunning studio apartment rental in Old Lyon, Rhone. It’s situated in the XVth arrondisement (area), In the heart of the pedestrianized area of Saint-Jean. This apartment has great views over the piste and gets the sun in the afternoon. As with all of our apartments in Les Chalets de Montalbert it is ski out/ski in. Avoriaz Holiday Apartment to rent in Haute-Savoie, France. Extremely luxurious Avoriaz apartment located in the centre of the ski resort, close to the shops and children’s ski school. Holiday House Chalet Corblettes In Meribel, France. 4 Bedrooms, Sleeps 8. Located in the Meribel Village. 2 bedroom ski apartment Rhone-Alpes, Haute-Savoie, Les Contamines, France. Our Apartment rental sleeps 6 guests and is ideally situated close to all amenities in Les Contamines village. WIFI Internet. This large and spacious apartment Gite is situated in the beautiful Rhone Alps, in the village of Villarodin Bourget. It boasts mountain views and is just 2km distance from the La Norma ski station. A stunning high apartment 46.4 sqm with 2 bedrooms , sleeps 6, with great views of Mont Blanc mountain range . Cleaning and linen inc. Pistes close / free bus . 3* tourist residence in the heart of ski resort. View over the ski slopes, ski lift at 30m. Sunny balcony. 2 rooms (1 double bed, 2 bunk beds) + sofa bed. Kitchenette, Flat screen TV, fireplace. Self Catering Holiday Apartment in Les Contamines, Rhone-Alpes, France. Self catering Le Chardonneret holiday rental apartment that has been tastefully furnished, set on the second floor of a chalet. Superb Holiday Apartments to rent in Val d`Isere Centre, Savoie, France. Apartment Faustina comprises 1 Bedroom, 1 Bathroom and Sleeps 4 guests. At the foot of the ski runs. A stunning self-catered chalet apartment with 3 bedrooms in the Les Eucherts area of La Rosiere. The lifts, ski school, bowling alley, ice skating rink and shops are only 150 metres away. Catered Winter Ski and Summer Cycle Chateau near Alpe d'Huez. Alpe d'Huez. Stylish and comfortable suites. Winter fully catered skiing holidays. Childen under 12 FREE subject to conditions. Summer catered or self catered. Large garden. Free parking. The fantastic Chalet Sophia is situated in the authentic town of La Clusaz, Haute Savoie and provides the ideal base for a wonderful summer break or Skiing Holiday. Outdoor Jacuzzi with great views. Veyrier du Lac Holiday apartment rental in Haute-Savoie, Lake Annecy. Les Eterlous is a spacious one bedroom apartment rental can sleep 6 guests in Veyrier-du-Lac, close to amenities. Internet. This spectacular 4 bedroom luxury ski apartment is situated in the village of Serroz, just 1.5km from the centre of Valloire. It comfortably accommodates up to 11 guests and benefits from a garden. This beautifully furnished contemporary 3 bedroom chalet apartment in Samoens sleeps up to 6 guests. Features include a luxury sauna room and stunning outdoor terrace with breathtaking views. Self Catering Holiday Apartment to rent in Bozel, Courchevel Area, French Alps. Lovely and comfortable apartment in traditional French Village near Courchevel in the 3 Valleys Ski Area. Sleeps 4. Fantastic Annecy Holiday Apartment Rental, France. Sleeps 5 People. Faces the Mountains with spectacular views. Approx 35 kilometres from Geneva. 4 bedroom Chalet Rental with view of ski slopes. Set In the mountains. Altitude 1100 meters. Private garden of 500m ². 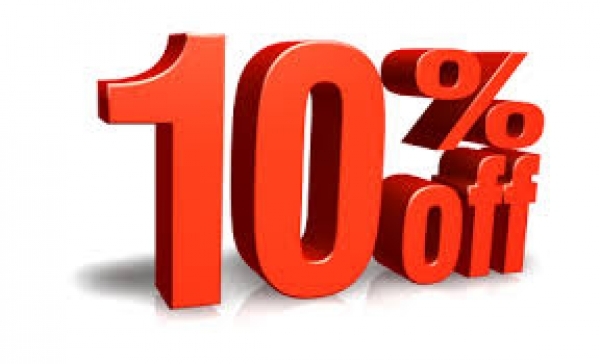 Early bird special - 10% off all bookings until June 2019 ! Offer Applies 29th June to 20th July 2019; 10% off peak rate.